We are well pleased with this little beauty know as the peppadew in culinary circles. 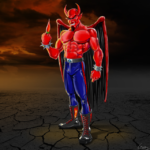 Technically ‘Peppadew’ is the trademarked brand name of sweet piquanté peppers originating in the Limpopo province of South Africa. It’s a low heat medium thick fleshed pepper that is very popular for pickling and stuffing. The flavour of the Peppadew fruit is quite sweet and it has a crunchy texture when eaten raw. It’s cute, its tasty and won’t kill you with heat – even the kids will love them. The Peppadew seems to do well in colder temperatures and when it gets going it produces a mega amount of fruit. This version of the ornamental explosive ember is quite a bit different to the original variety most people know of. We got this variety from a friend and fell in love with it. 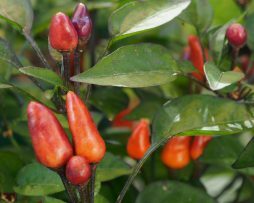 It seems to be more compact and dainty than the original explosive ember ornamental chilli plant. The pods are smaller too, having more of a vibrant yet pastel colour to them. 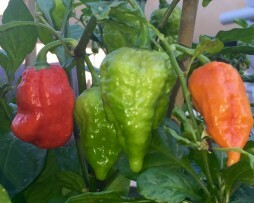 It’s super productive and when the pods get going it just lights up the garden like no other. Totally easy to grow and is low maintenance as well. 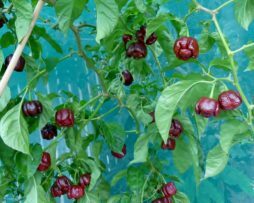 This one should be on your short list for an ornamental type chilli that actually tastes pretty good as it’s not too seedy. Size wise the plant grows about 20cm tall x 20cm wide – perfect for the patio. 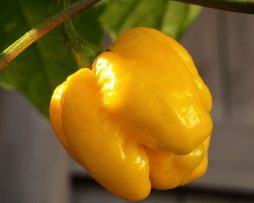 An extremely rare variety from Egypt named after the city where it is grown commercially “Matay”. 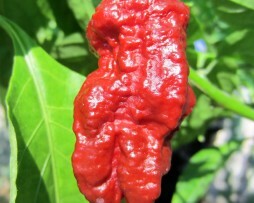 Its like a big fat red twistie with the fruit growing up to 20cms long and 8cms wide. 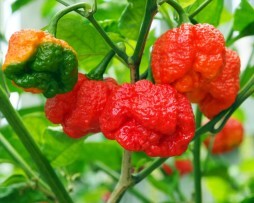 It is a very sweet chilli variety with a touch of heat to keep you interested. Beautifully flavoured we use these for stuffing all the time. 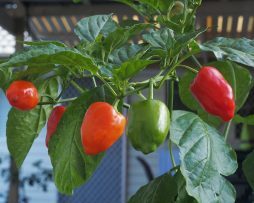 Quite productive and one that is very easy to grow. Another beautiful chilli variety we just had to grow. 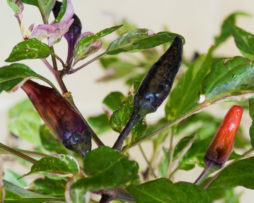 The Mexican Calico Chilli has beautiful purple, cream and green foliage with fruit that start out a glossy purple, ripening to a candy apple red. The elongated sometimes oval-shaped fruit measure 2-3cms long x 1.5cm wide and are very prolific on the plant, even in small pots. Perfect for patio growing and would be great as a bonchi. A dream to grow as it is very hardy and super low maintenance for the lazy gardener. Go on, pretty up your garden with this little beauty. 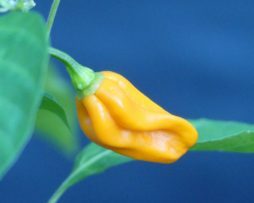 This chilli is super cute we have to say. 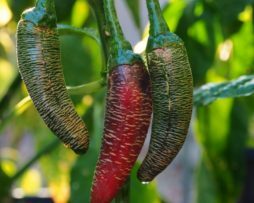 The Mini Piperka(The Vezena Piperka) is a Heirloom pepper from Macedonia and is super rare. This is the miniature version of the normal Vezena Piperka. Super sweet with an amazing fruity cherry like flavor the pods grow to about 3-4cms long. The outside has an awesome embroided/corked outer skin with the inside being soft and blood red in colour. 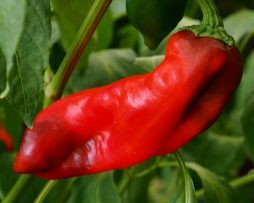 They are used in many dishes in Macedonia and made into beautiful sauces. Dried we think they’d make great Paprika powder. 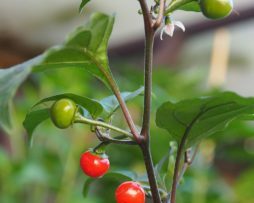 The Mini Vezena Piperka chilli plants grow between 2-3 feet tall and are very productive.